This is one of those books which you can't put it down until you complete the same & leaves you craving for more when you had finished reading it. It's the whole journey of Mumbai Mafia over the span of 60 years. The book is mainly the rise of one man who rose to Stardom from the streets of Dongri to become a multimillionaire & into the Forbes most powerful people's list. He can easily influence governments to his side, policemen, intelligence agencies, companies & his own army of people. The book is very well researched and a lot of movies have been made by bollywood on this theme. Shootout at Lokhandwala and Shootout at Wadala is one of the latest ones. Dayavan is also one of those featuring one of the Dons. Mumbai has always been the center of action for the police and smugglers. Due to Indian government policies of trade there has been a lot of opportunities for people to find loopholes and smuggle a lot of Gold, Silver, Watches and other valuable items. The funds and income created made these people more powerful. A lot of people came and became pawns to one or the other so called DON of a particular locality trying to rule the Mumbai, but as it happens in Chess, pawns are the easiest ones to sacrifice for the King. The Mumbai police could never reach for King and as the Kings hold the astute brains to save itself from Check Mate. The best police could ever reach was always till Rook or discarded Bishops of this never ending Chess game. Pawns were created and sacrificed daily to save Bishops, rooks and even Knights. The context of what started it all was the loss of job of his Head Constable father due to some police audit case due laid out on several policemen while catching some illegal gang activity. His father was the most respected man in his circle and police. Even big Dons would listen to his advice and he was the man who never falled for any easy money. He tried his level hard to make his son listen to his advice but once on the path of Underworld there is no return route. 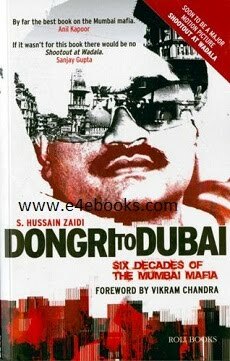 Dawood has been the most shrewd guy and easily became a leader of youths and created his own gang. He fought the mighty Pathans and due to some misunderstanding was vengeful to one of the Pathan Dons because he insulted his father and brother. Because of his highly intelligent brain and courage he slowly reached ranks of being the King of Underworld. There has been many events that molded him the way, he is today. Anyone passing through all these kind of trails would not have even survived. With whole world looking out for the D Company, mere survival is difficult and in that pressure you are ruling the Mumbai and Dubai and world mafia is really for the man who knows his strengths and has worked on his weaknesses to become his strengths. Mafia is ever changing and there has been many powers rising and falling with time but still the King has not been replaced till today. The book is well written, keeps you engaged, leaves you wanting more, introduces multiple characters & follows their journey to their ends. I would rate this one as a great read with 4.5/5. 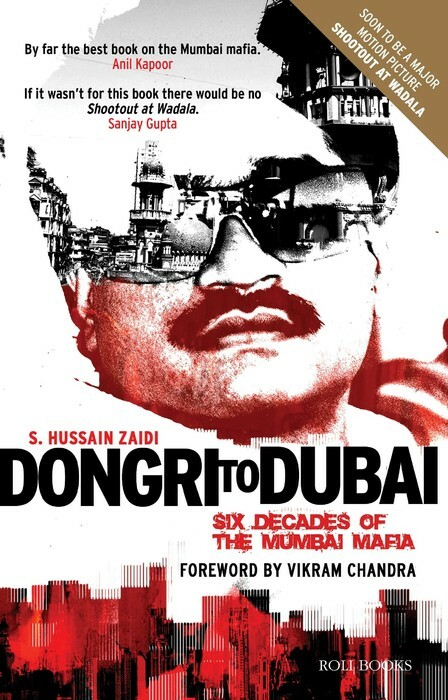 If you really want to know more about what happened in Mumbai Mafia, their encounters with Mumbai Police and it's connections to Bollywood, this is definitely an awesome read. The author has created the whole narration to keep you engaged till the end. The book is published by ROLI Books and priced at Rs. 350/-. I got the book on KINDLE APP for Free using the newly launched AMAZON.IN website – a free book drive each day from 14th June to 26th June 2013. You too can enjoy the scheme and read on some of the amazing books written by Indian writers.